‘The rules are taking over Inuit tradition and the bears are taking over Inuit. We’re just watching in the distance, afraid of these bears because they’re free to do whatever they want.’ says Brian Aglukark, after two fatal polar bear attacks this summer (CBC, 24 September 2018). What is causing the death of the polar bear as a climate change icon? Fat bears are part of it, but mostly it’s the fact that polar bear numbers haven’t declined as predicted. Not only have we been seeing pictures of fat bears rather than starving bears in recent years but there are lots of them, in Western Hudson Bay and other seasonal sea ice regions where there should be none (if the models had been correct). 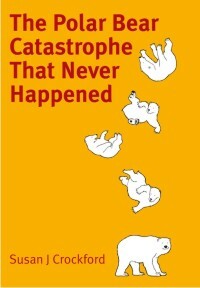 No wonder polar bears are falling out of favour as an icon for catastrophic human-caused global warming. But none of these apologists acknowledge the simple truth: the models that predicted catastrophe for polar bears due to diminished summer sea ice turned out to be wrong. The sea ice declined but polar bears flourished. Polar bears in seasonal sea ice ecoregions like Western Hudson Bay and Baffin Bay didn’t die off due to climate change as people were told would happen — why should they believe any of the other scare stories? Overall, there have been fewer problems or conflicts this year in Churchill compared to last (after 6 weeks of onshore living), see below. Polar bears are no longer a useful global warming icon because they are thriving despite diminished sea ice: Churchill area polar bears are a good example. 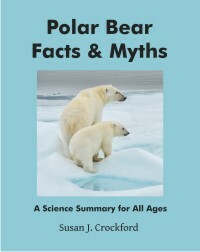 I did considerable research on polar bear attacks for my thriller of a novel EATEN — which many readers are finding a welcome change from the numbers-and-statistics approach of science — and I have to say that a recently published scientific summary of this phenomenon (1880-2014) authored by biologist James Wilder and colleagues left me speechless (Wilder et al. 2017). with permission, see EATEN cover. The paper also focuses much attention on the potential for increases in polar bear attacks on humans due to sea ice loss (blamed on global warming) but ignores totally the increased risk stemming from the larger proportion of adult males that now exist in protected populations. Adult males frequently steal the kills of younger bears and in recovering (i.e. growing) populations, relatively more adult males potentially generate more young males that are nutritionally stressed and at risk of attacking humans (see discussion below). Finally, no supplementary data is provided to show which records of attacks were included in the study, and no information is provided about how to access the database. How is that possible in this day and age? Much is made in the paper of the negative effect of polar bear attacks on conservation objectives and the perceived increase in attacks associated with recent sea ice loss. These points were picked up by activist organization Polar Bears International (“Save Our Sea Ice!“) in a press release issued yesterday (11 July, pdf here). This has already generated the desired media attention (here and here, likely more to follow, like this) which is predictably focused on predictions of more polar bear attacks on humans due to global warming. I have a feeling Inuit and other native inhabitants of the Arctic will not be impressed. 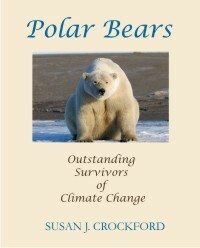 “Crockford is the author of a Jaws-style thriller on ravenous polar bears killing humans called Eaten. At least one polar scientist who has read it considers its “science-based scenario” to be frighteningly plausible. In field-level polar bear management circles, people don’t talk about the kind of scenario that forms the premise of this novel as an “if”. Instead, they describe it as a “when” and they are not looking forward to it. Eek is right! The book has been nightmare-inducing for many readers. Put EATEN on your Christmas shopping list (all purchase options here). It makes a great gift and supports the work I do here. Colleagues have said their young adult children really enjoyed it. Posted on March 19, 2016 | Comments Off on Polar bears onshore in winter – will more bears mean more deadly attacks? Incidents of polar bears causing problems onshore this winter (January & February) – including one that killed a horse in Greenland and another that threatened a resident in western Hudson Bay (only weeks after several incidents in southern Labrador) may be the tip of a very scary iceberg. I’ve taken a look at what records exist of this phenomenon, which in the past often involved deadly attacks. The large number of reports this winter appears to be a real increase, which is a rather terrifying prospect indeed. In winter, all polar bears except females in dens nursing newborn cubs are presumed by biologists to be on the sea ice hunting but it turns out that is not quite true. Although relatively rare over the last twenty years or so, it appears that in some areas, bears are now coming ashore in winter. The photo above shows a polar bear photographed by a remote camera installed at Broad River Camp, Wapusk National Park, western Hudson Bay on 7 February 2013. It was visible to the camera for 40 minutes but apparently caused no trouble (camera installed and maintained by associate professor Doug Clark from the University of Saskatchewan and colleagues). Given the fact that there are now many more polar bears than there were in the 1970s as well as more people living in many coastal Arctic communities, problems with bears in winter are likely to increase, as this winter’s events show. More bears out on the ice in winter (January-March) will almost certainly create more competition for the little bit of food that’s available (seals are hard to catch in winter), which means some bears might increasingly be looking for alternate sources of food onshore. Comments Off on Polar bears onshore in winter – will more bears mean more deadly attacks?